Free, easy to install, and highly customizable – these are just a few of the top reasons why 27% of website owners these days choose WordPress to power their websites these days. As the number one Content Management System (CMS) in the market, WordPress has a very robust well-developed community that achieving almost instantly possible. However, it doesn’t mean that WordPress is free of any bugs or flaws. Even with a simple interface, many users would often come across an error or two each time and then. These issues continue to rise these days, and when someone is not knowledgeable enough to fix them right away, it could lead to much bigger problems, or worse, loss of their website and their business. This is why having a WordPress support team is essential nowadays, especially for small and medium business owners who don’t have enough time to fix issues on their website or doesn’t have enough resources to keep an in-house IT team on their businesses. That said, while WordPress issues are inevitable, there are actionable steps that you can follow to resolve them by yourself. Once you know how these issues occur, and where to look for their root cause, you will be able to make your website functional again with less supervision an expert. 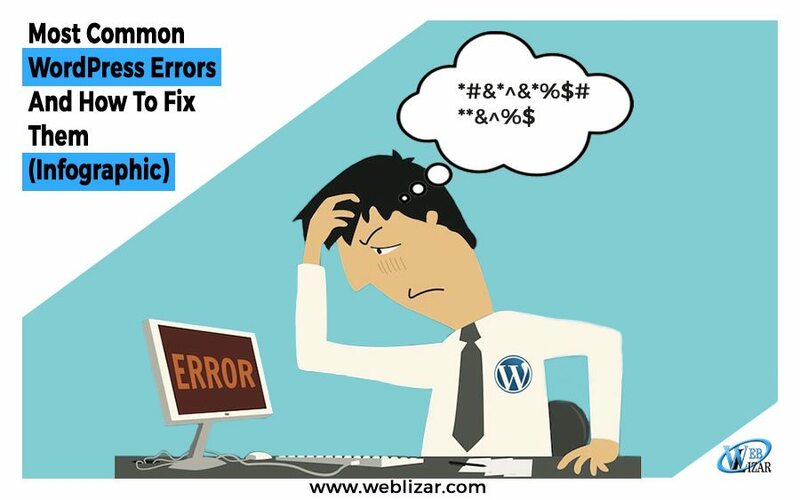 To sum up, here are the main errors which you should always check and avoid while using WordPress as your website CMS. To know how to fix these errors, check out the visual guide below from Newt Labs. To learn more about these WordPress and issues and how to resolve them, check out the infographic below. Hope you have enjoyed the infographic and learned something new today. There is some more related infographics that can expand your knowledge bank. Have a look at Migrating From HTTP To HTTPS – Infographics and Some Deadly Transgressions to Avoid in SEO and Online Marketing.